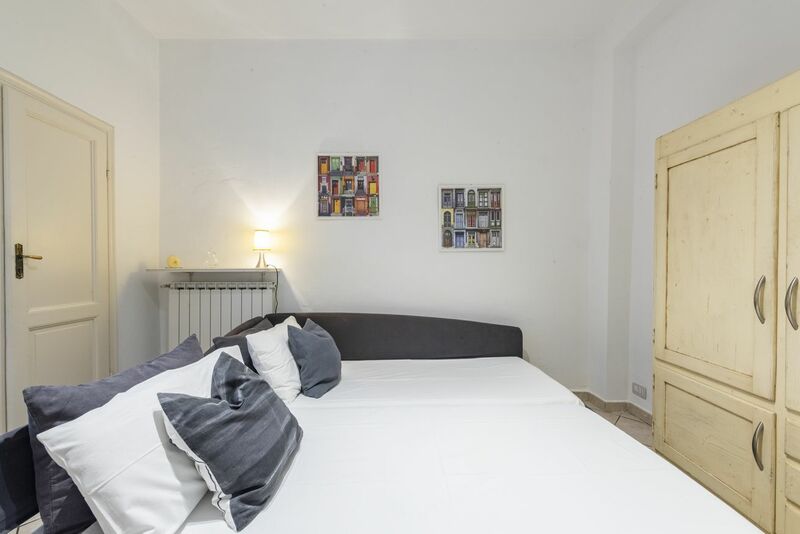 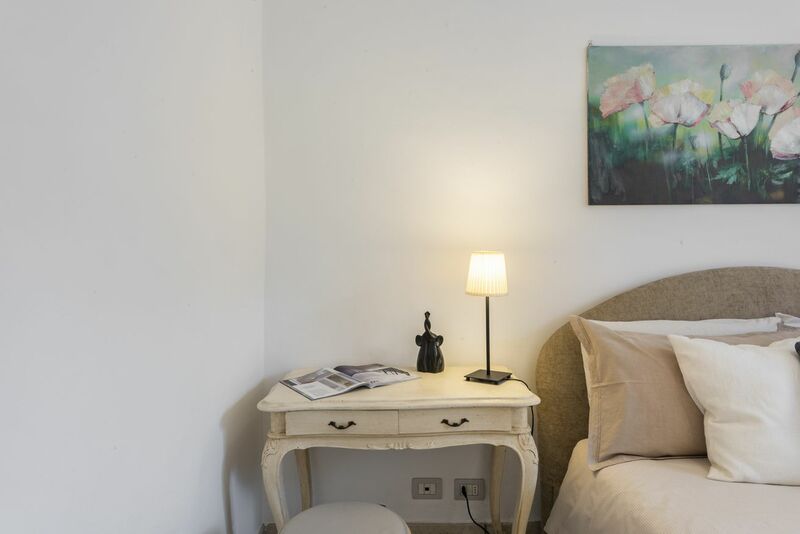 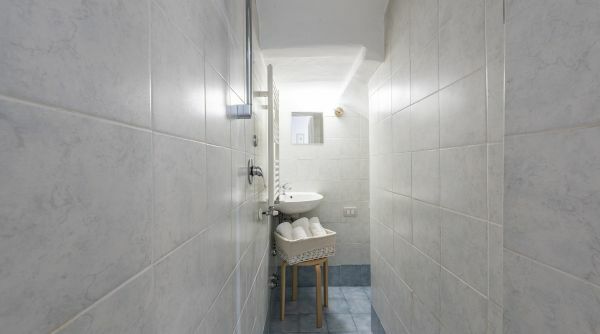 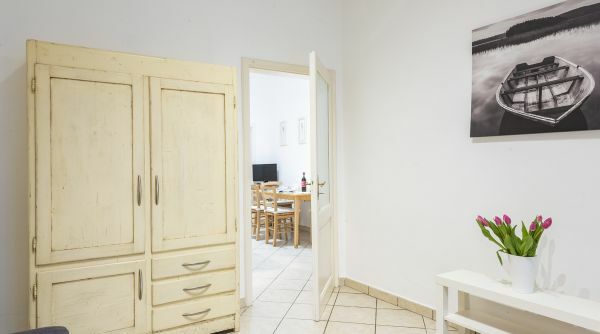 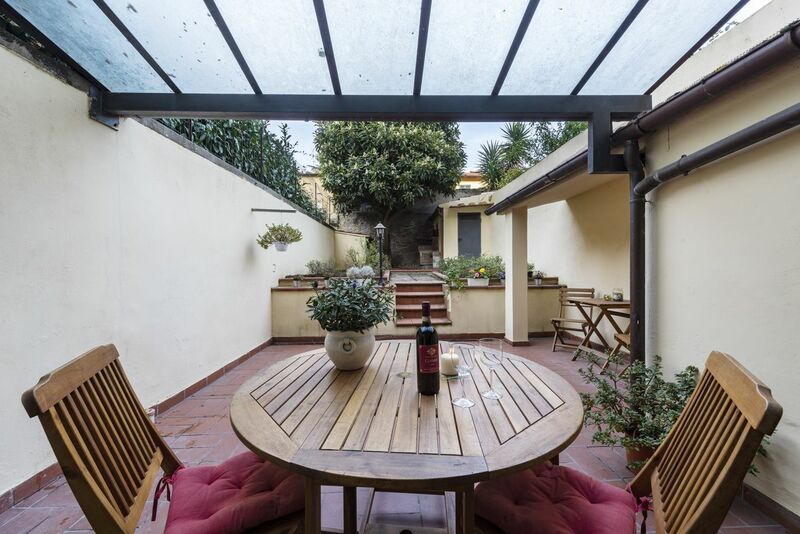 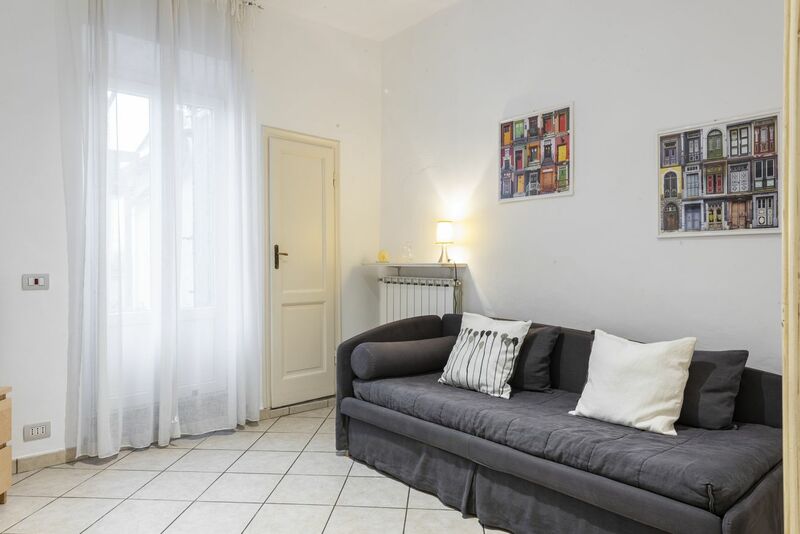 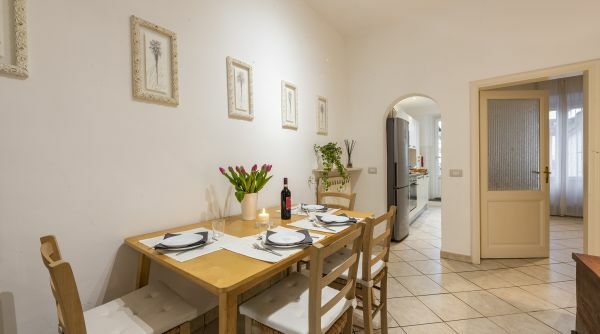 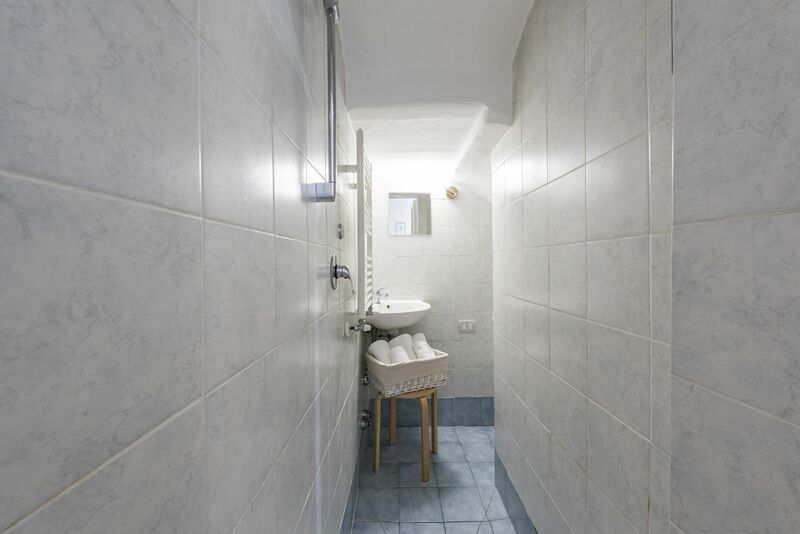 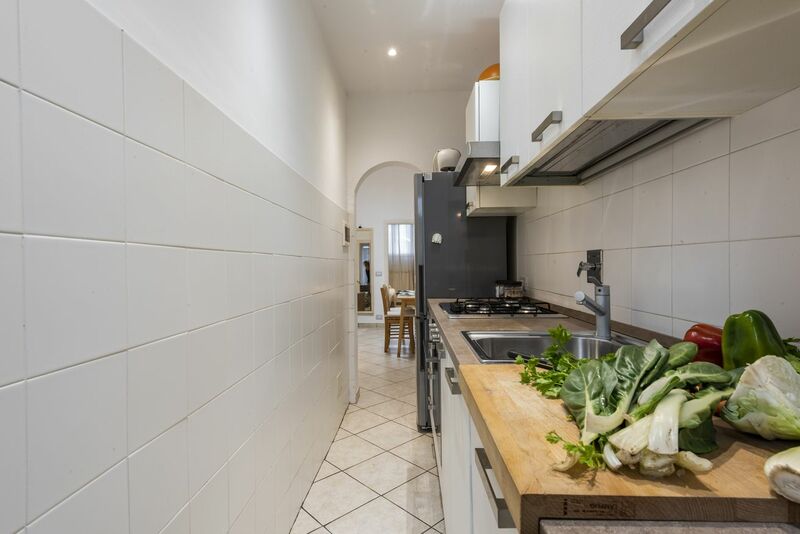 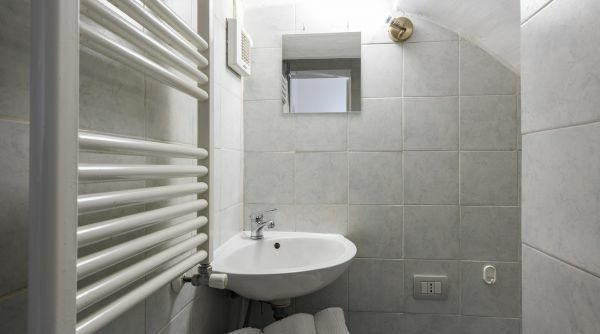 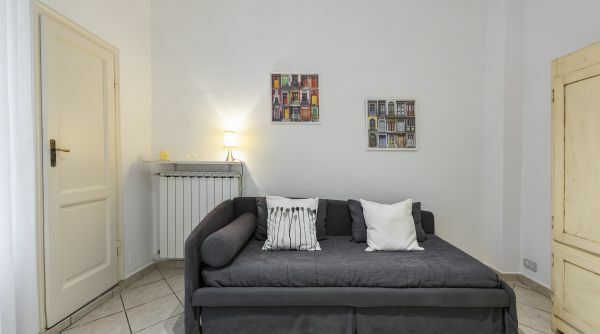 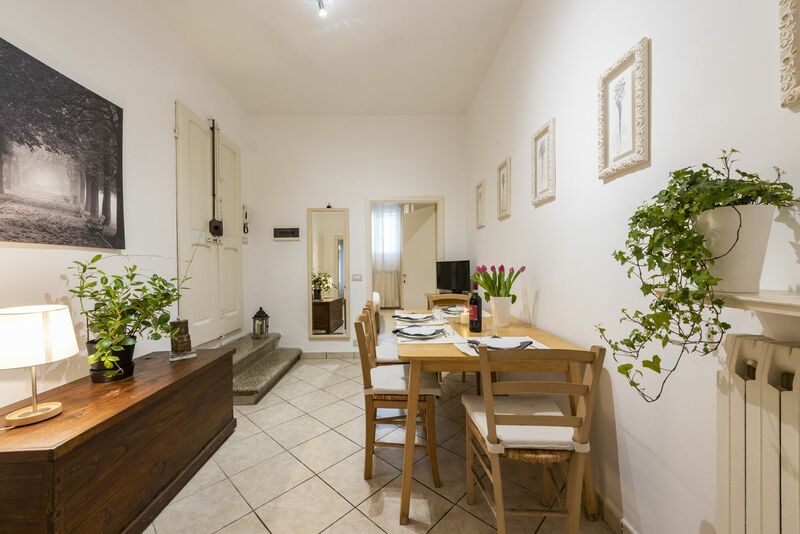 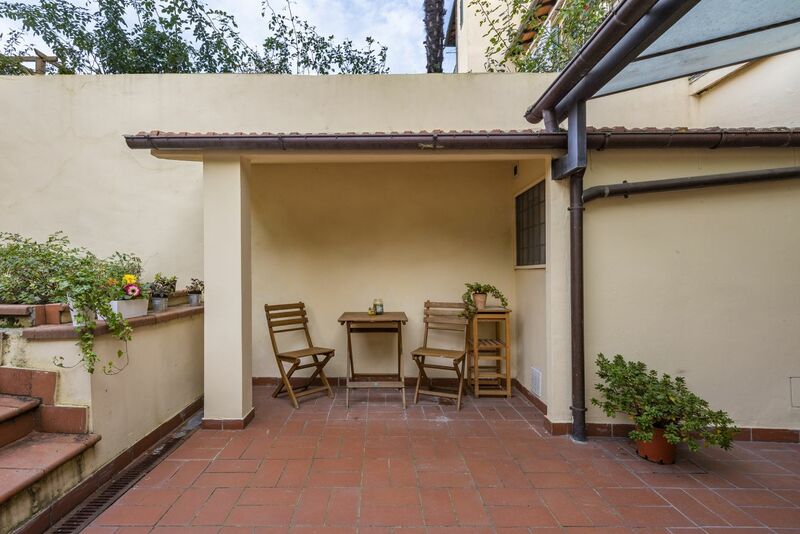 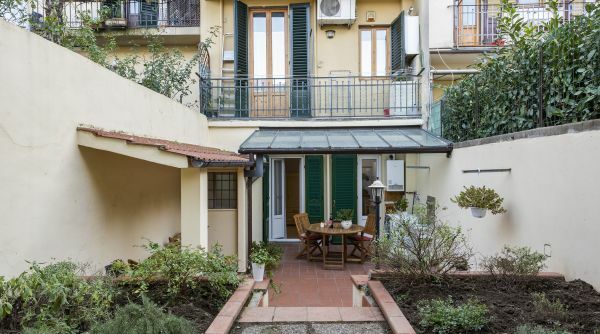 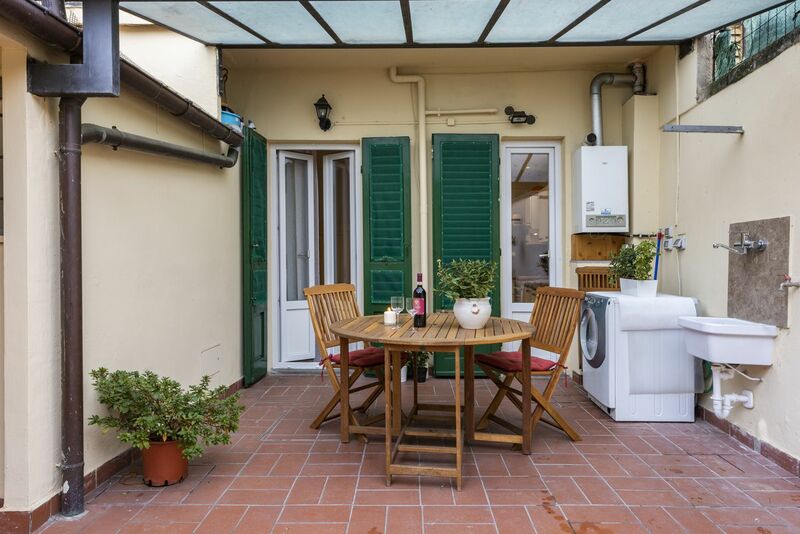 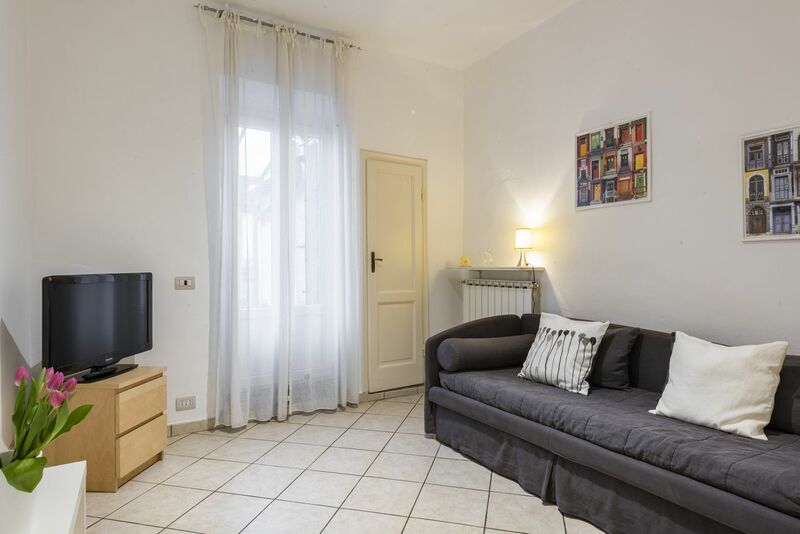 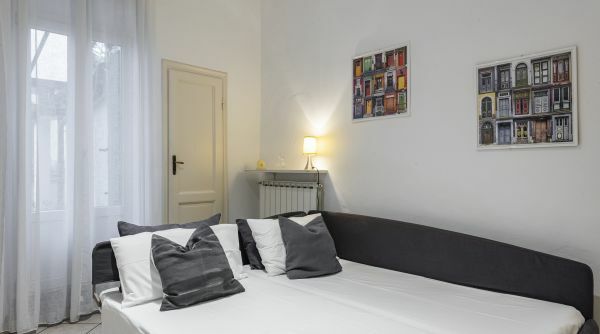 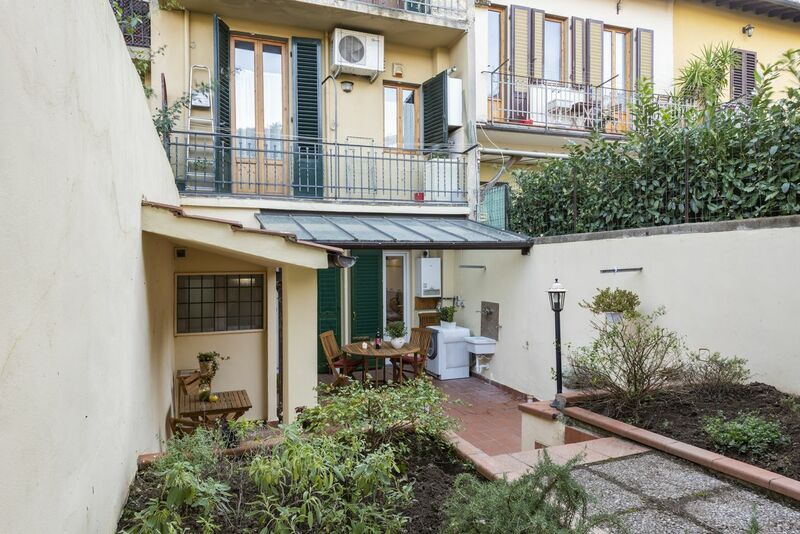 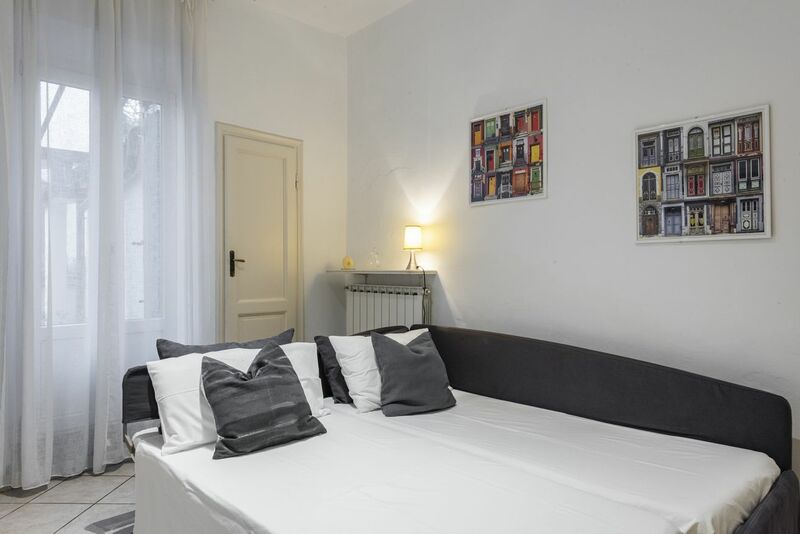 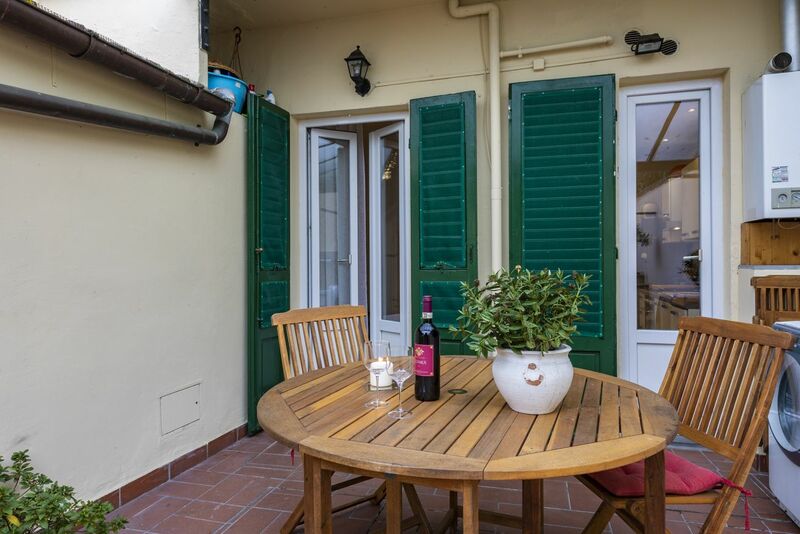 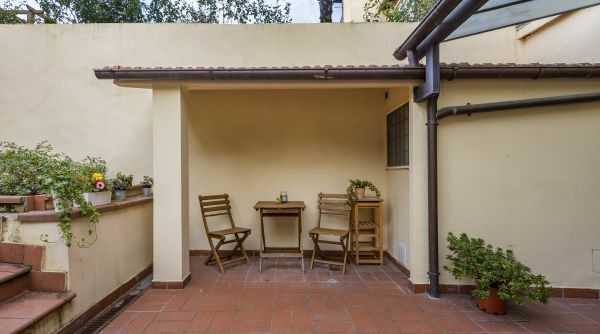 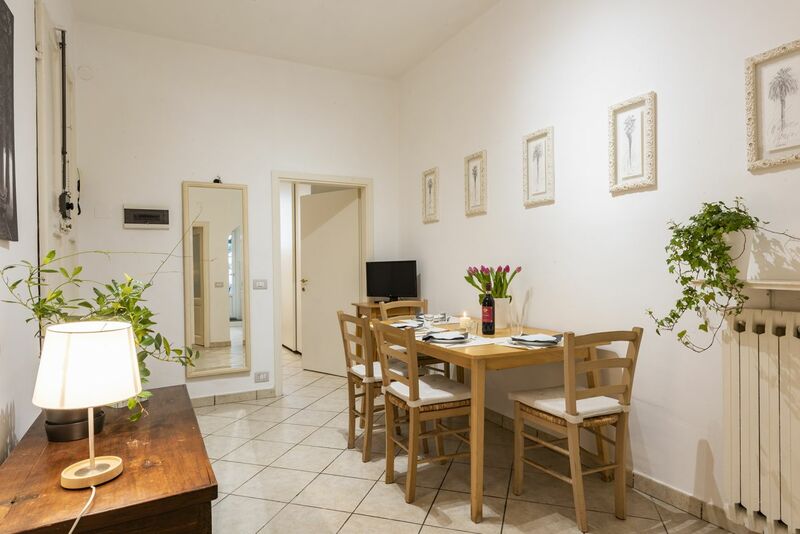 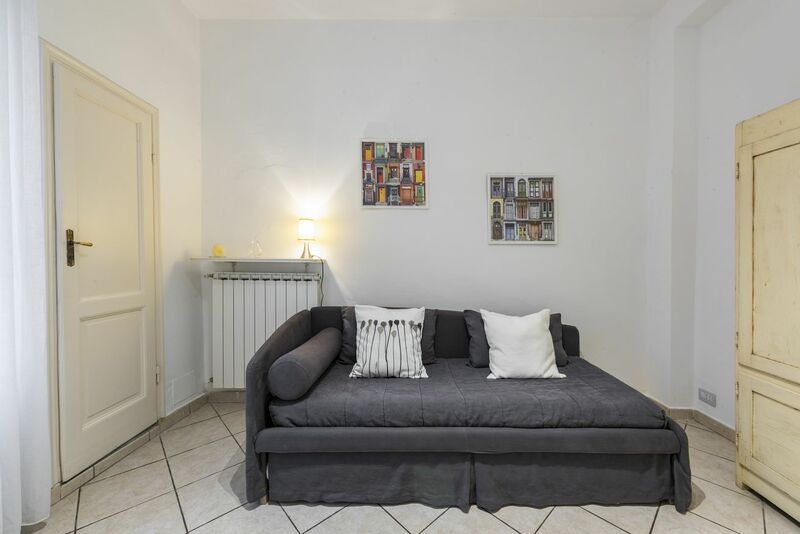 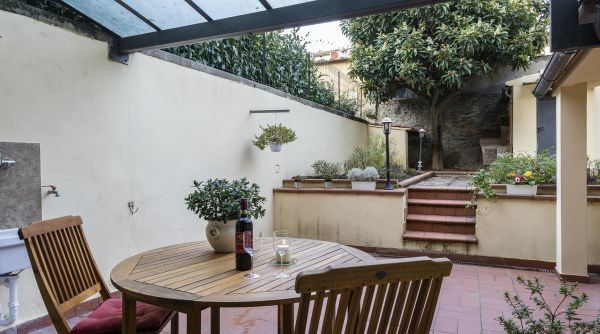 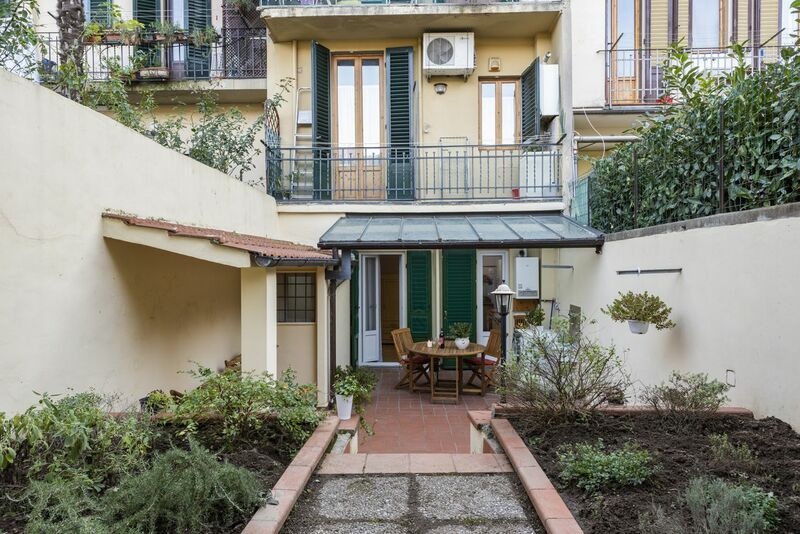 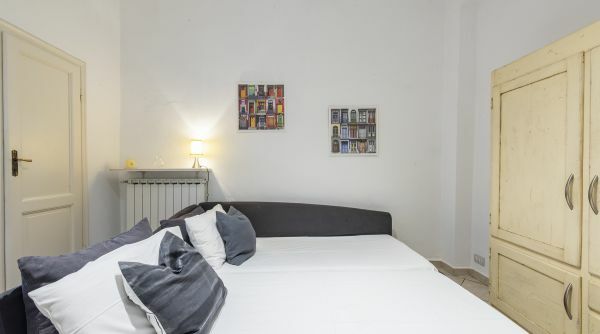 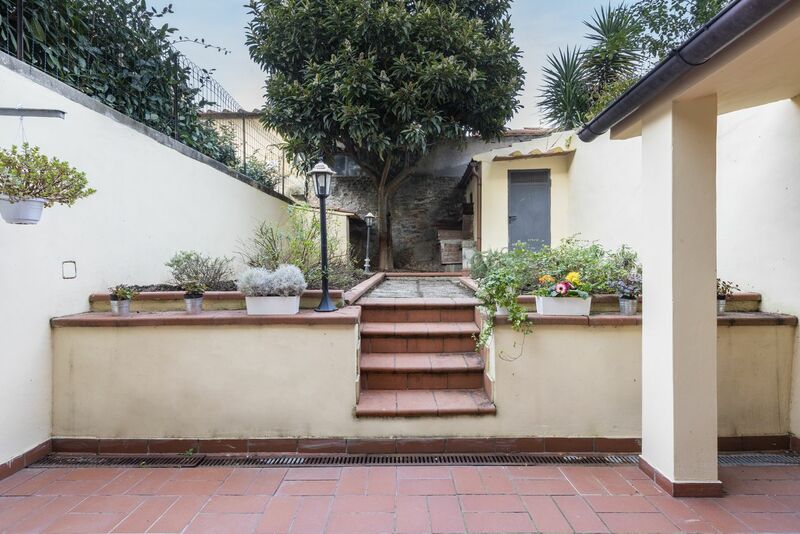 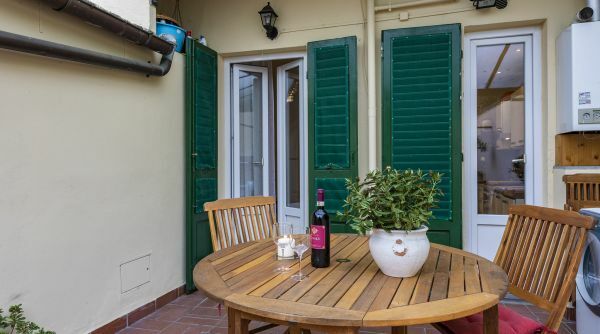 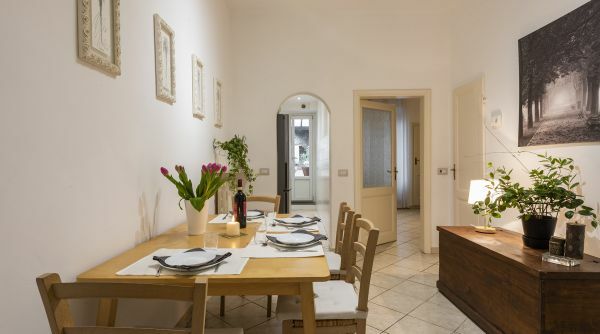 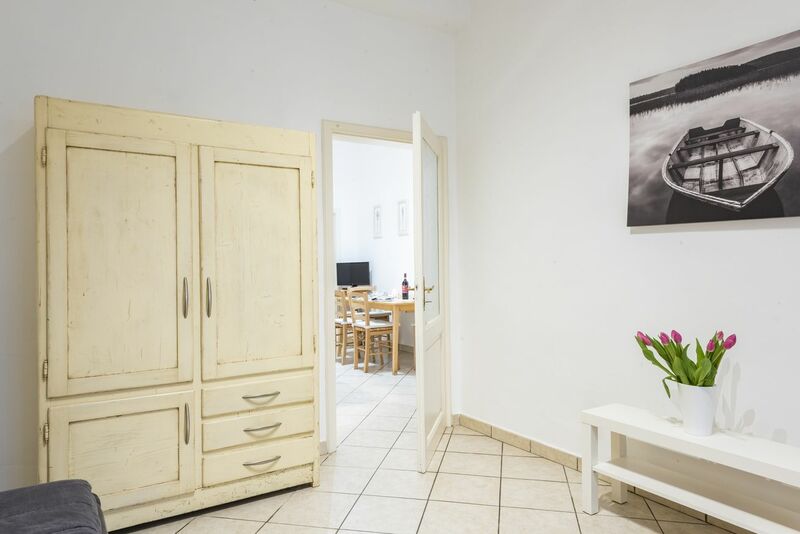 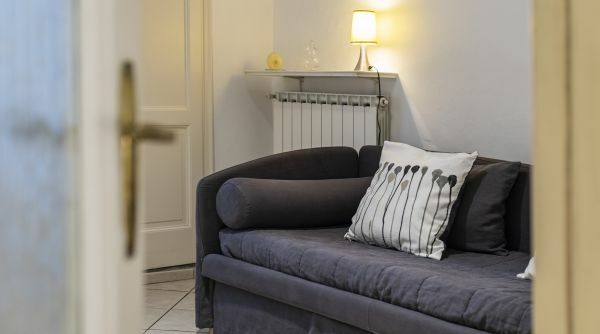 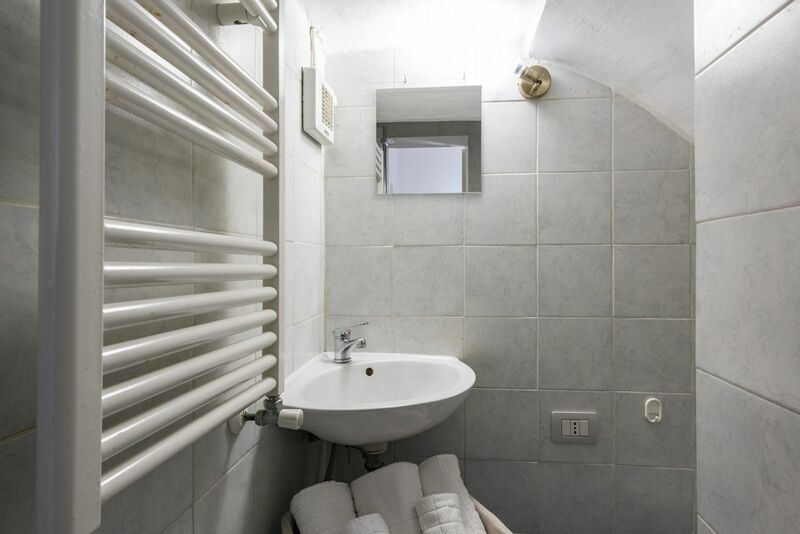 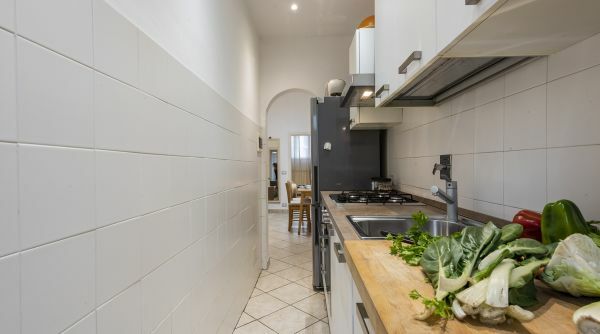 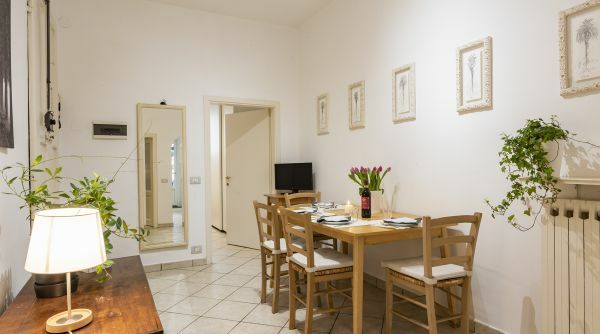 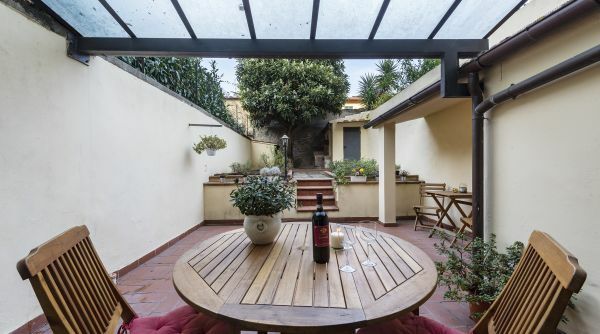 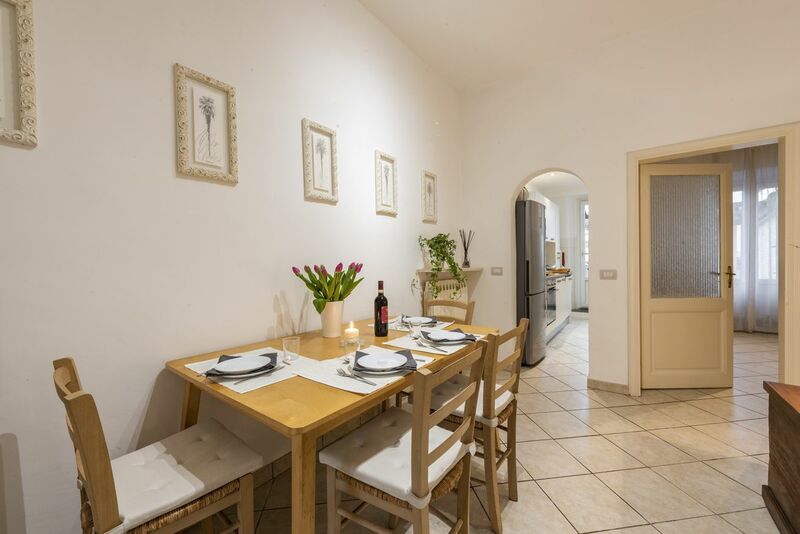 Charming and Cozy apartment with a lovely backyard in the heart of the trendy San Frediano area. 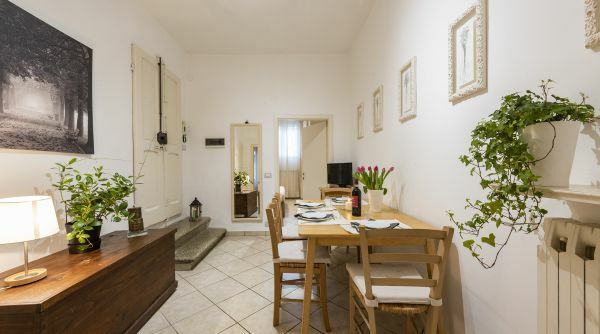 This apartment is located on the ground floor in a residential area just a few steps away from traditional shops and restaurants. 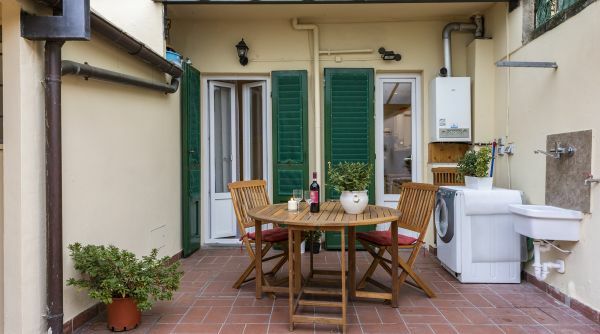 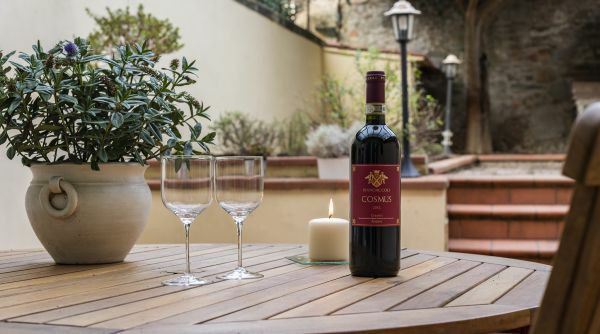 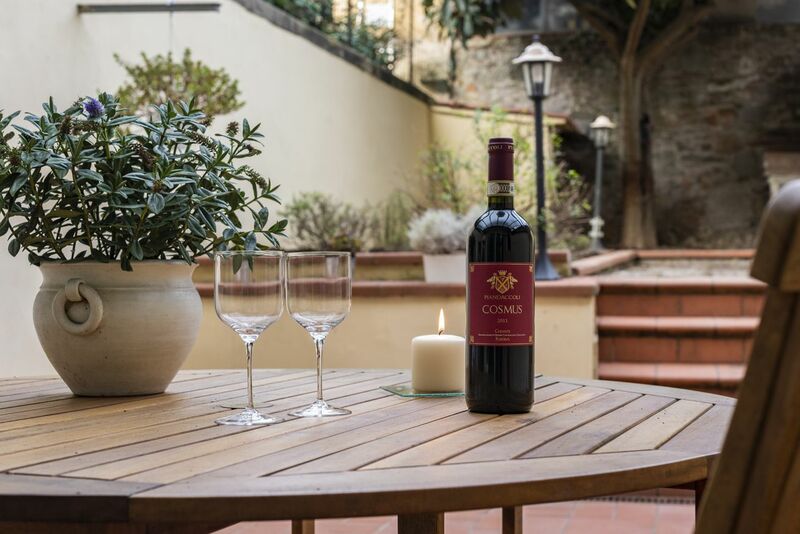 It is the ideal location to start discovering the local side of Florence. 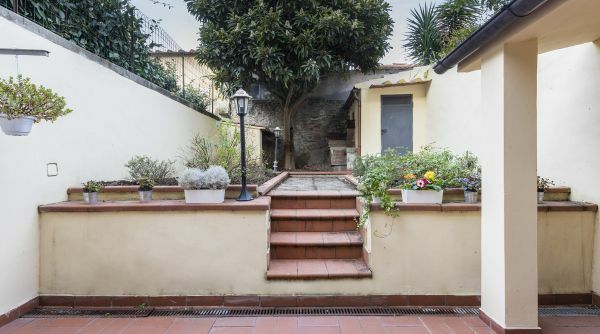 The property is decorated in a more traditional Tuscan style. 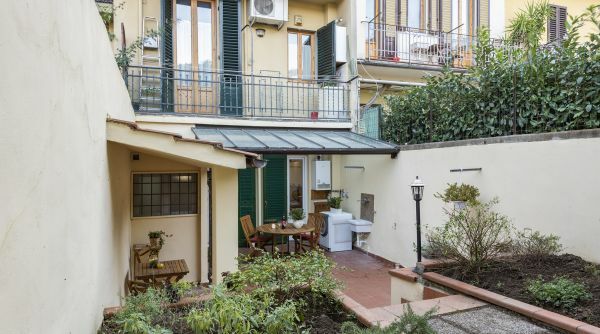 One of its great features is the private backyard, more than 60sqm of open outside space where you can enjoy al fresco meals or just relax after a long day. 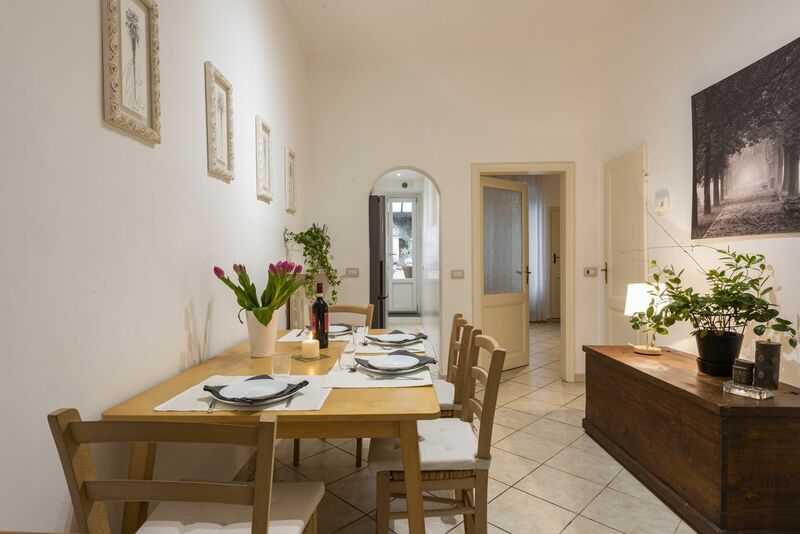 The entrance opens up into the living area, furnished with a dining table, which comfortably seats 4 guests. 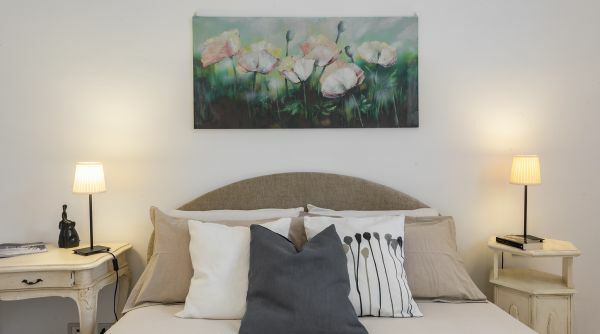 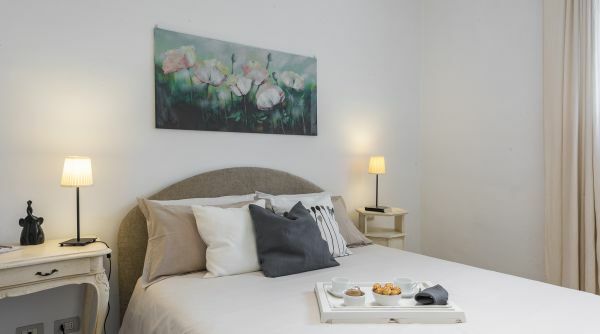 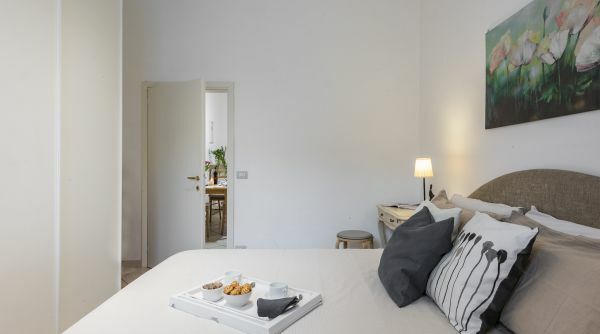 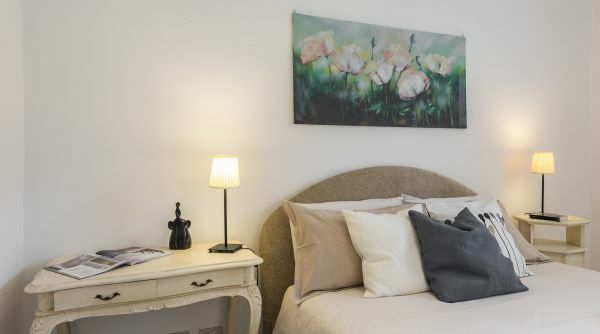 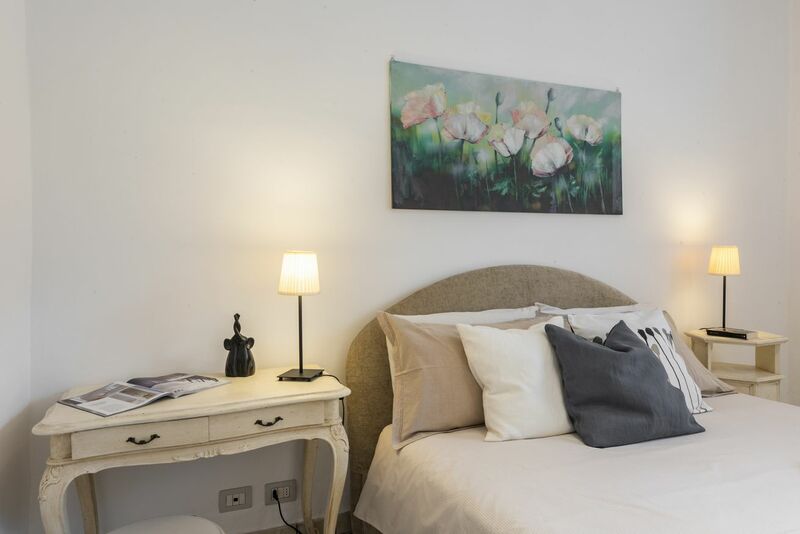 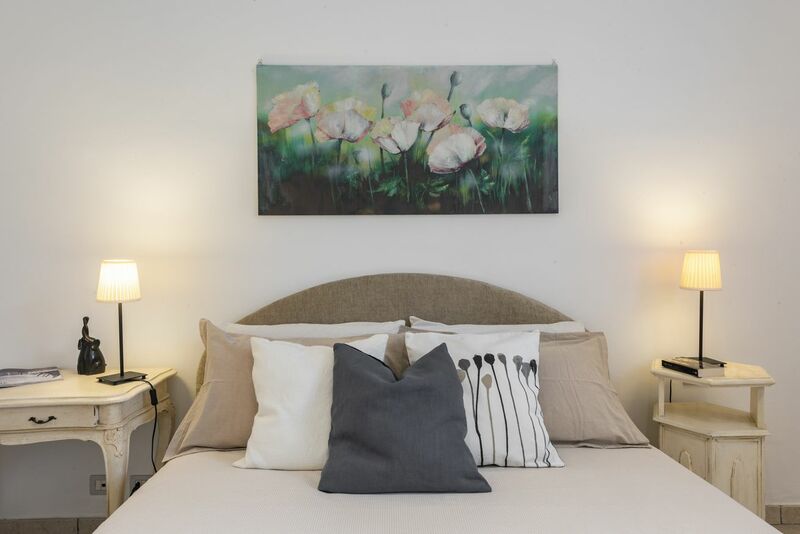 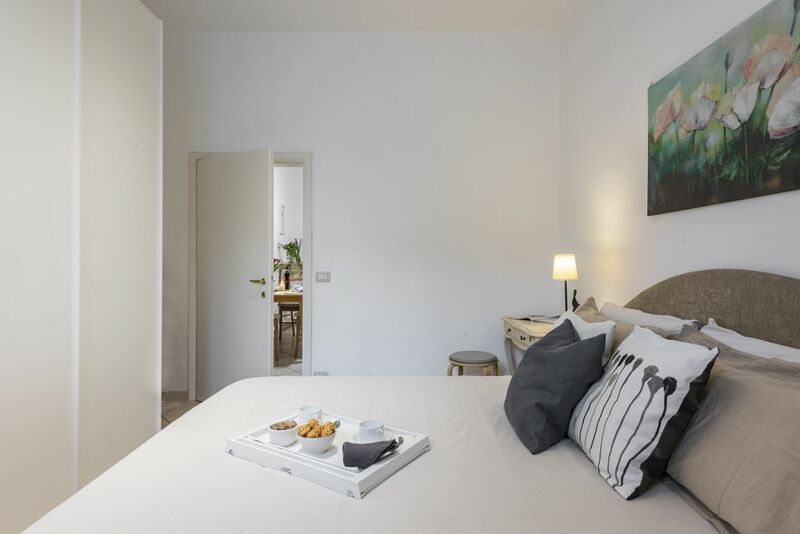 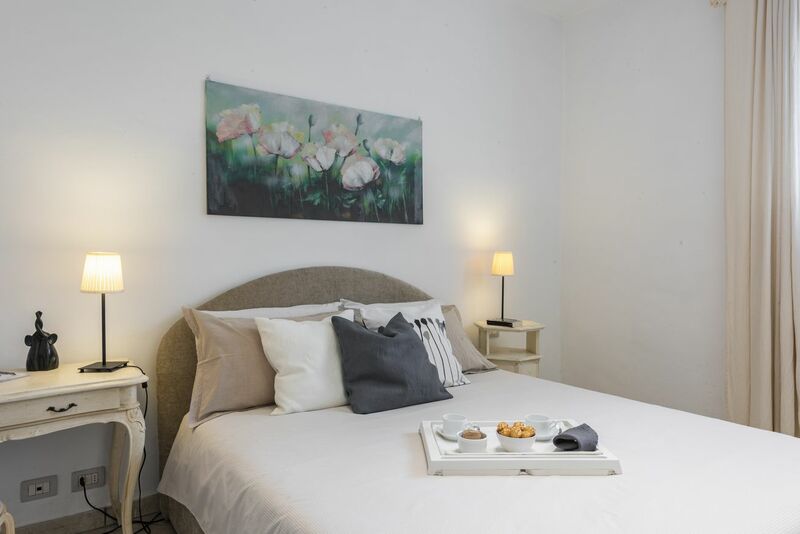 On the on the left hand side you will find the first bedroom furnished with a double bed and lots of storage space making it ideal for longer stays as well as shorter ones. 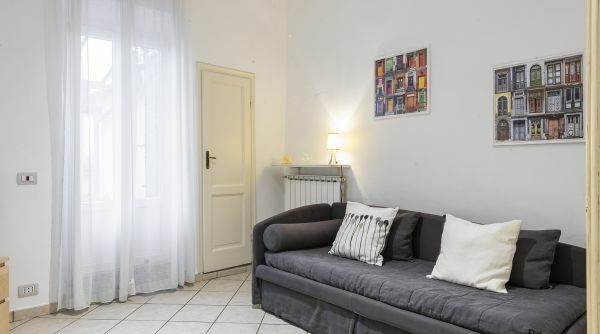 The room is very bright as it is filled with natural light coming through the window. 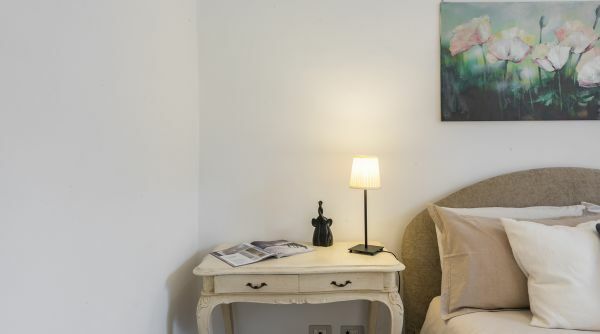 On the left side of the living area there is the second bedroom, furnished with a trundle bed and a wardrobe. 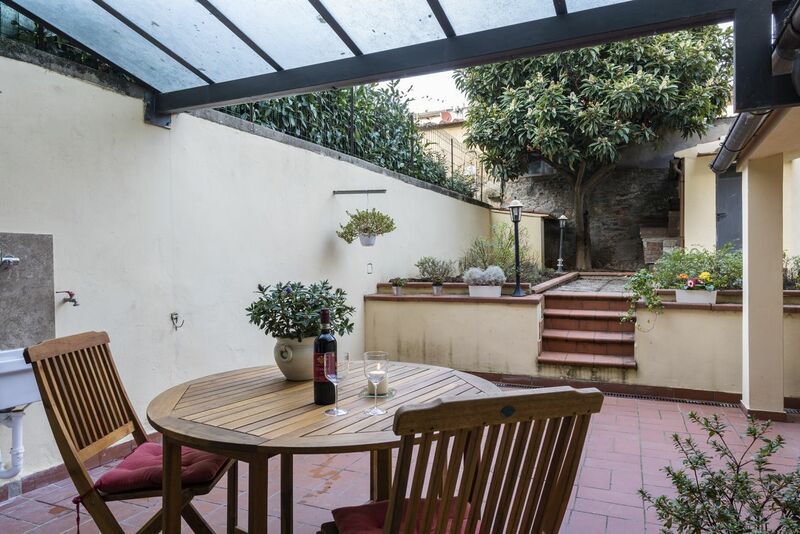 From this room you can access the backyard through the French windows, which provide lots of natural light. 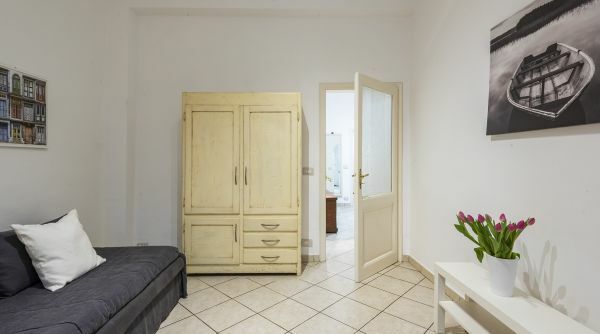 This room can also be used as a living area. 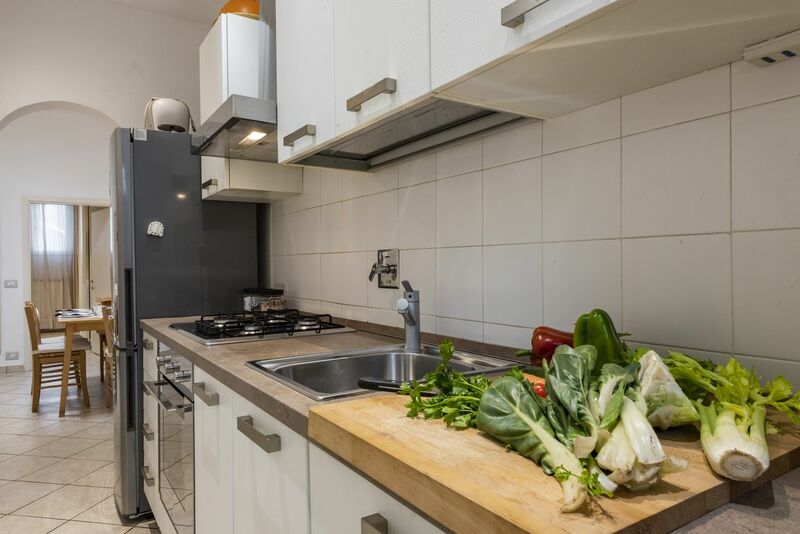 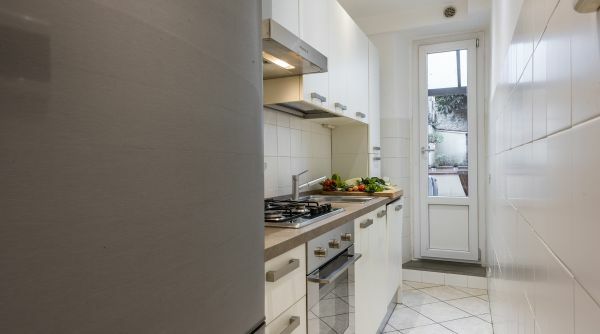 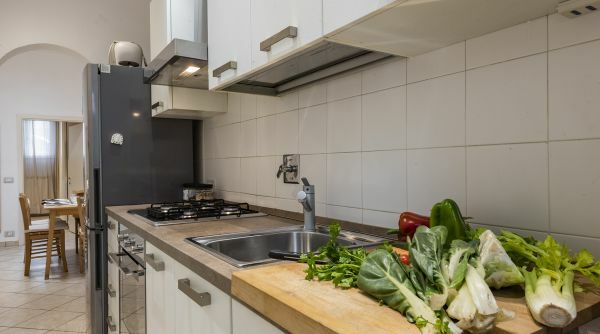 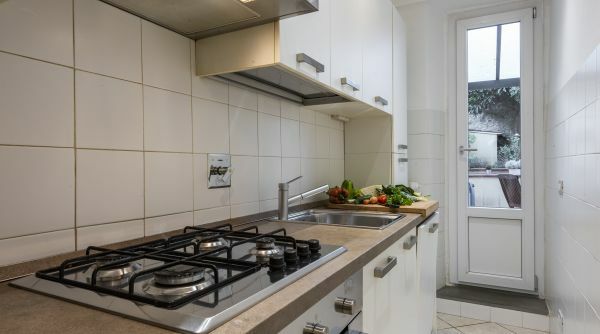 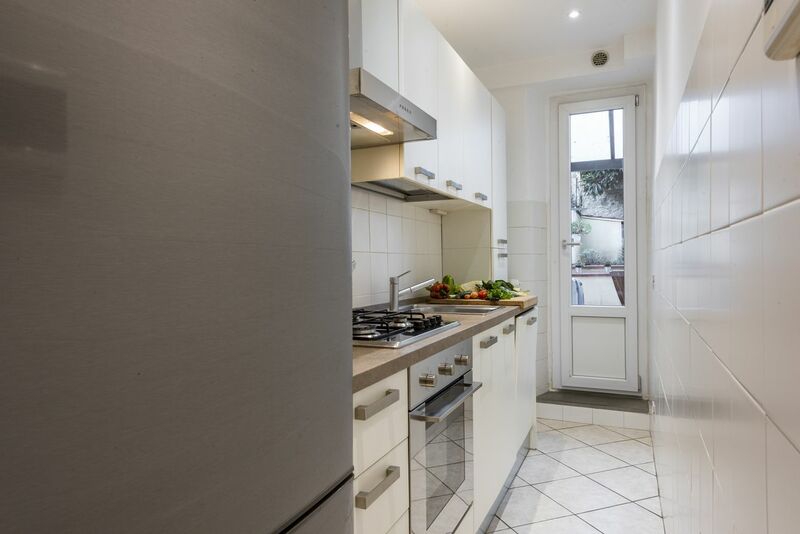 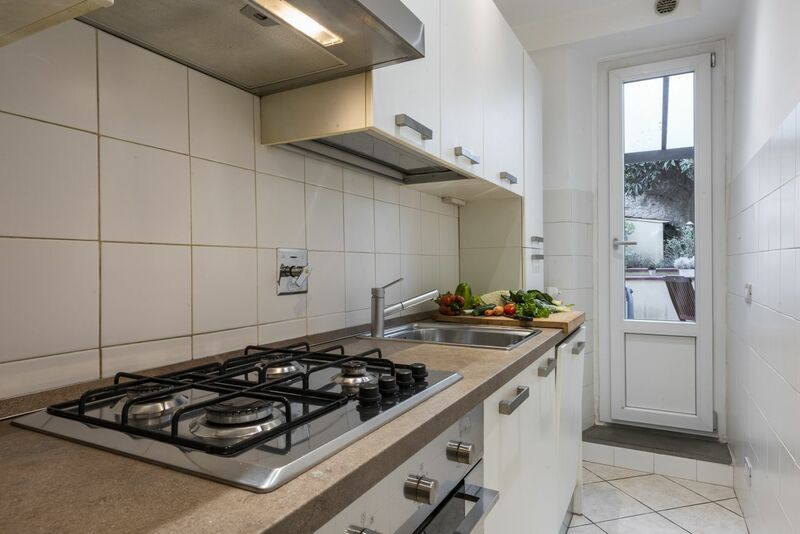 Next you will find the kitchen, fully equipped with all you need to cook your favorite meals. 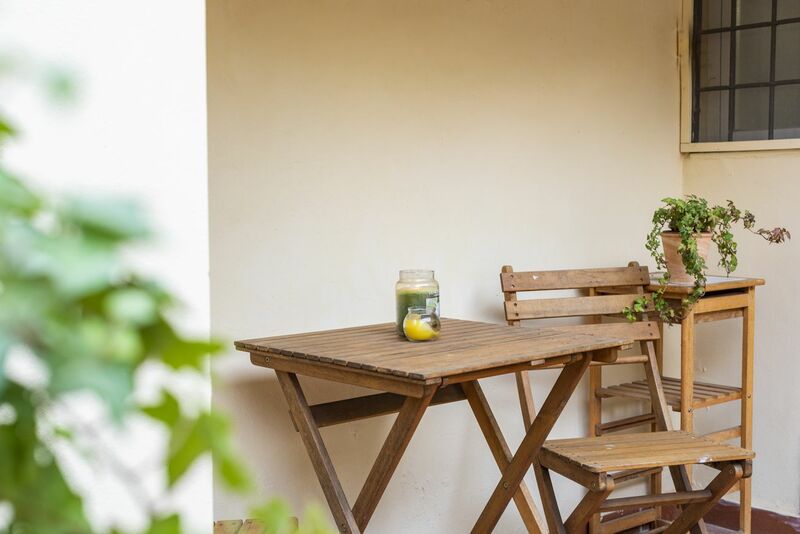 There is a separate access to the garden in the kitchen, making it easier when you entertain your guests on your outdoors gatherings. 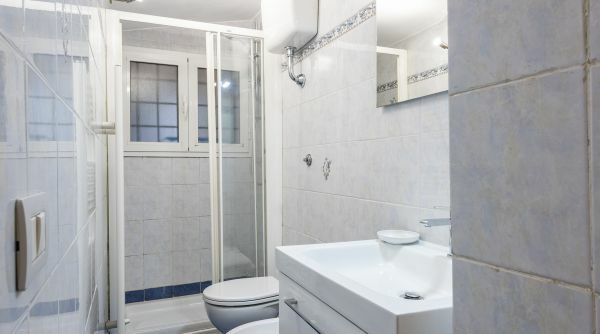 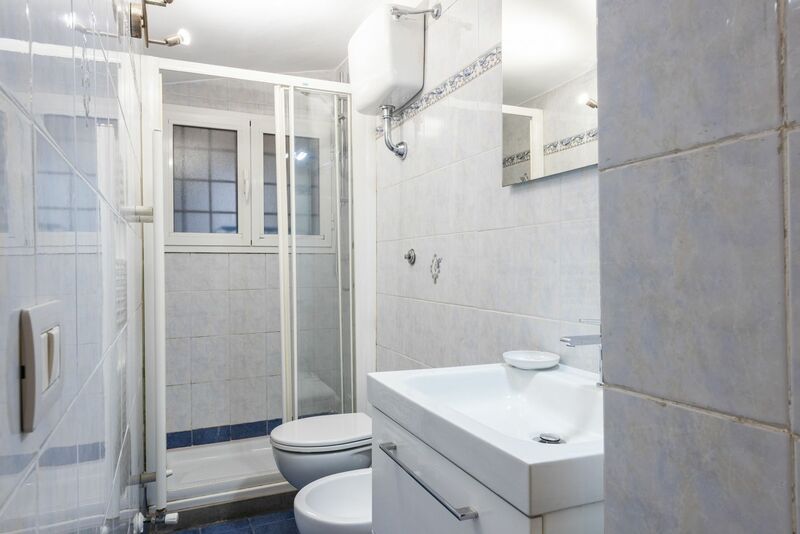 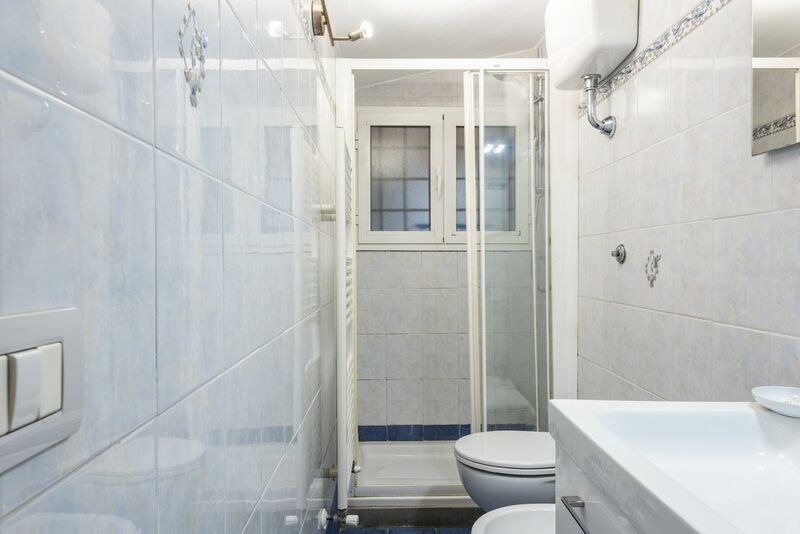 This property has one and a half bathrooms, one accessible through the living area and the half bathroom in the second bedroom. 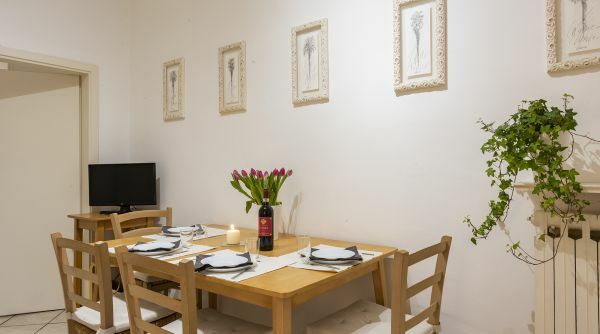 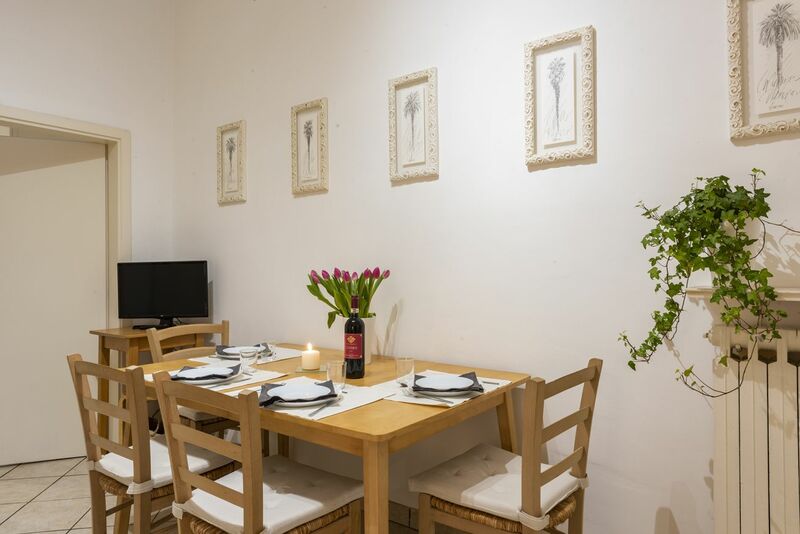 The apartment is also furnished with a washing machine, dishwasher, internet access and all the modern comforts. 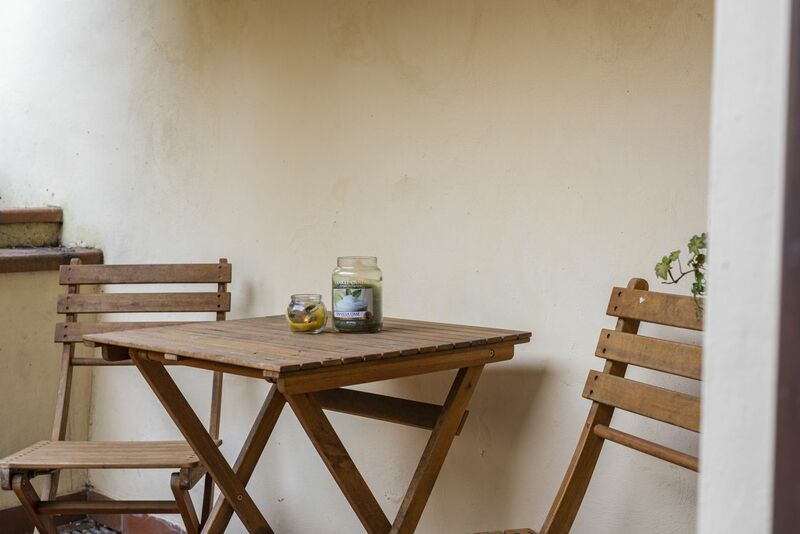 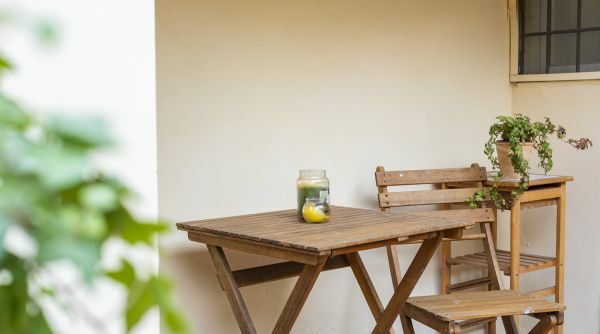 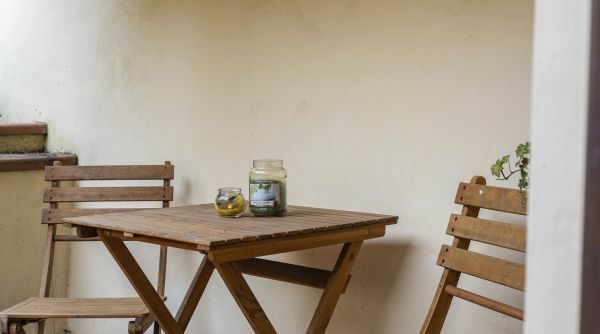 The location and backyard make apartment the perfect option for guests who wish to learn more about the local culture and enjoy some peace and quiet at the end of the day.